Inspired by the tranquil beach town of Olón, Ecuador and the vibrancy of coastal culture, Olón (pronounced Ō-lon) provides Tropicana Alantic City guests with a classically alluring, laid-back experience centered around Chef Jose Garces’ vision of fresh seafood. 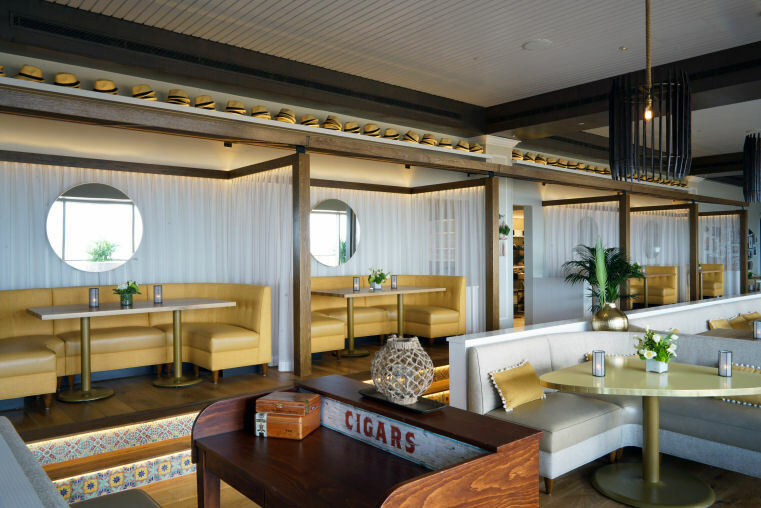 Guests enter through custom-crafted Ecuadorian gates and first encounter a 43-seat ceviche bar and lounge, where they can watch chefs prepare ceviche and other raw seafood specialties. In the 128-seat dining area, every seat has sweeping ocean and boardwalk views. Beach-like cabanas with soft draperies create intimate nooks within the space while touches of natural light and fresh salt air create an inviting yet alluring atmosphere. In addition, wood shutters unfold to create two private dining areas for groupings of up to 60 people. Weather permitting, seating for 40 will be available on a deck overlooking the beach. “We are thrilled to partner with renowned and award-winning Chef Jose Garces on exclusive concepts that complement and enhance our diverse selection of restaurants and strive to expand on the idea of MORE. Tropicana is continuously introducing new amenities to our property and the addition of Chef Jose Garces’ restaurants brings new and unique dining options that offer more to our guests,” said Steve Callender, General Manager of Tropicana Atlantic City. 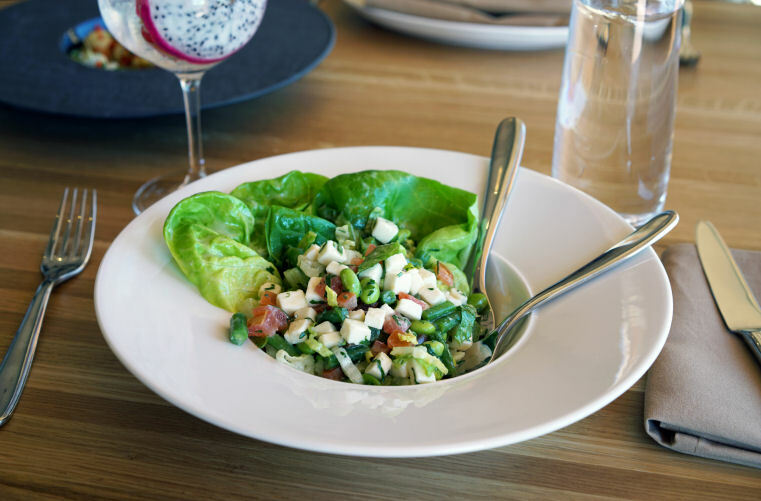 The menu at Olón features Chef Garces’ family recipes, with a modern twist, as well as unique takes on time-honored favorites. Traditional features include steamed clams, crab cakes, jumbo fried shrimp, and surf & turf. 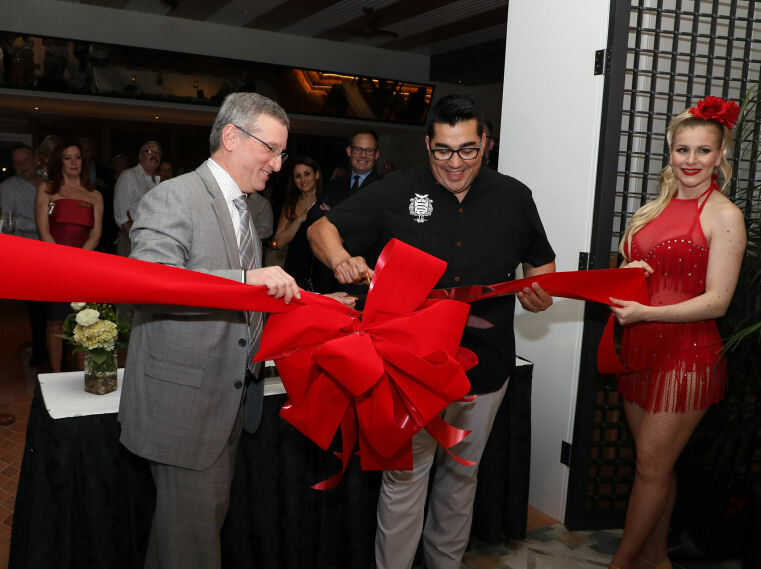 More contemporary options include wood-fired Wagyu skirt steak, roasted chicken, jumbo gulf prawns, black bass, two-pound lobster, and king crab. 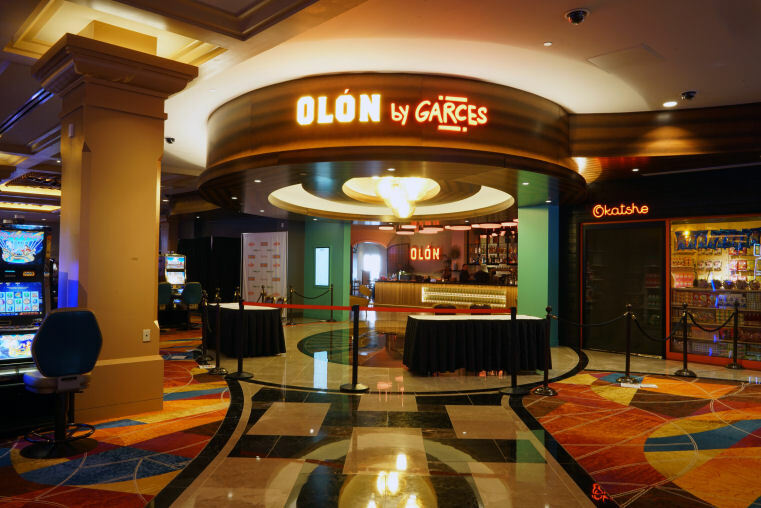 Olón opened seven days a week with a lunch menu starting at 11:30 a.m. and dinner 5 – 11 p.m., midnight on Fridays and Saturdays. Reservations can be made on OpenTable® or by calling 800-345-8767.